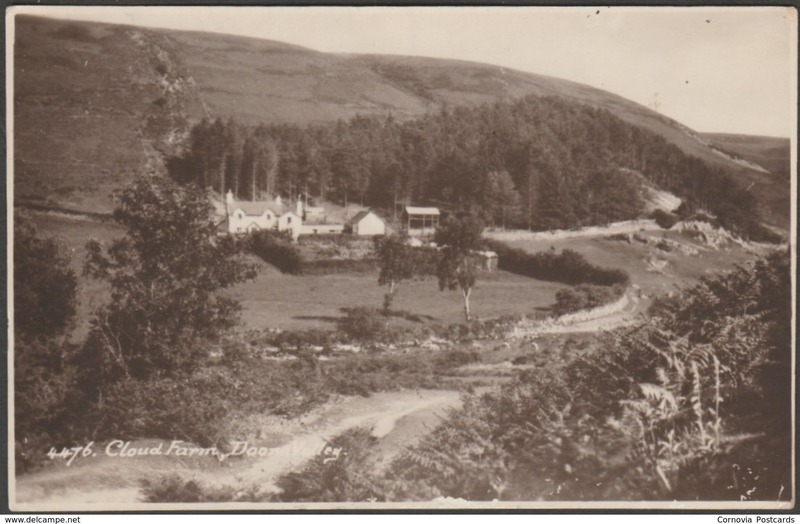 Sepia real photographic postcard showing a view of Cloud Farm near Oare in Exmoor's Doone Valley in North Devon. Published by E A Sweetman & Son, Tunbridge Wells, Sunshine Series, No 4476. 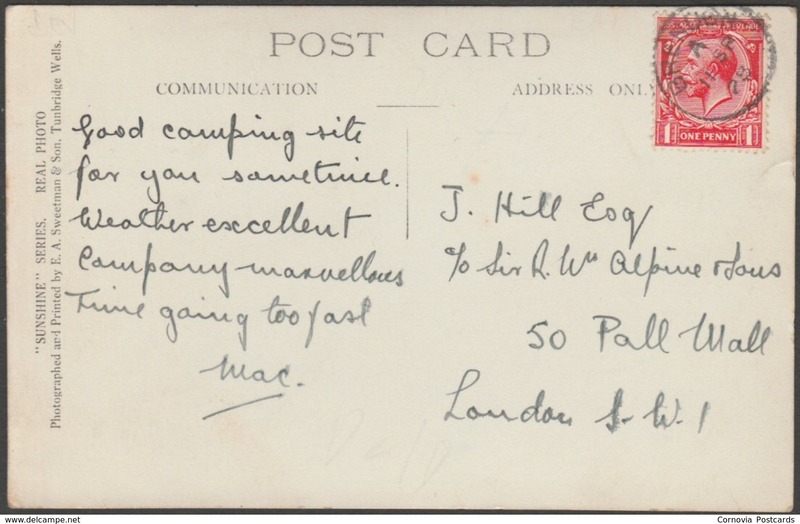 Postally used on 11 September 1928 with single circle Brendon cancellation on red one penny stamp and sent to J Hill Esq, c/o Sir R McAlpine & Sons, 50 Pall Mall, London SW1. Good condition, with slight corner bumps, but very tiny crease to bottom right corner.